Unlike Adolf Hitler, Heinrich Himmler, Hans Krebs, and Joseph Goebbels who committed suicide at the end of the war in 1945, or Martin Bormann and Rudolph Hess who were captured and judged at the Nuremberg trials, German Nazi officer Otto Adolf Eichmann escaped the allies by fleeing to Austria. He lived there in secret until 1950, then, carrying false documents, moved to Argentina where he remained with his family for ten years. 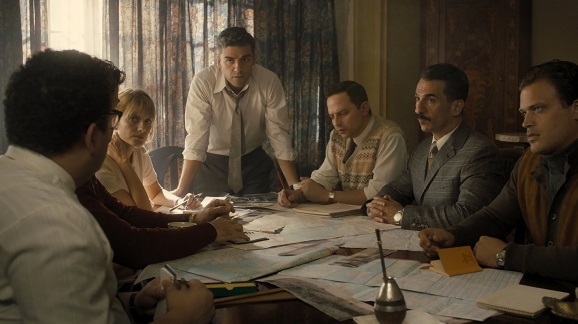 Director Chris Weitz’s Operation Finale is the story of how, in 1960, he was discovered, captured, and smuggled out of the country to stand trial in Israel. After his successful escape out of Europe, the man who would eventually stand trial on 15 criminal charges, including crimes against the Jewish people, worked as a factory foreman under an assumed name and lived in a small house with his family off the beaten track outside of Buenos Aires. Each evening after work, a factory bus would drop him off on the corner of a dirt road, just a short walk to his home. It was there, in 1960, between the bus stop and his house in the darkness of the early evening where he was wrestled to the ground and captured. Historians will know what followed; the story and the events leading to the trial have been extensively covered, not only by history books but by recreations in the entertainment industry. A 1996 TV movie, The Man Who Captured Eichmann, told the same story. A reporter for The New Yorker, Hannah Arendt covered Eichmann’s trial in her book Eichmann in Jerusalem. 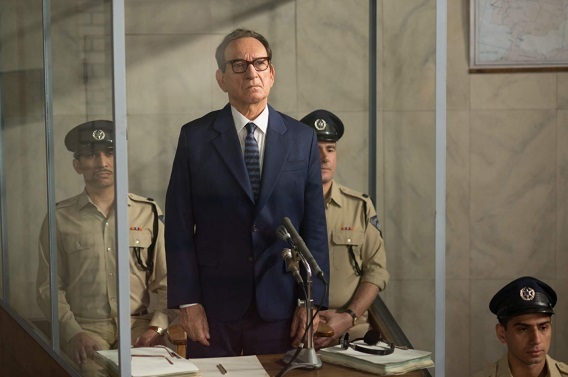 A 2015 TV movie, The Eichmann Show, juxtaposed scenes between recreated moments of drama and real-life footage. And the late actor Robert Shaw wrote a novel and a play, then later a film called The Man in the Glass Booth, also covering the man’s capture and his trail. What Weitz’s new version of events does is fill in the emotional gaps and details that were not fully covered in previous works. 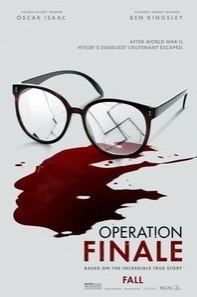 With the exception of some occasional pacing issues plus the film’s overall length, for the most part, Operation Finale succeeds. From the opening, silent, melancholy shot of Peter Malkin’s sister, a young woman who died at the hands of Nazi soldiers during the war while trying to protect her children, it’s clear that Malkin is haunted by the memory. From time to time, we catch glimpses of her suffering, yet what we’re seeing are not necessarily flashbacks, they’re his imagining of what might have happened. He wasn’t there, the only witnesses were the soldiers themselves. It’s his mind’s recreation of how things might have happened that he sees, and they’re thoughts that understandably refuse to go. The way events are framed in Matthew Orton’s screenplay, it’s the memory of his sister’s horrific fate that fuels Malkin’s passion to find Eichmann and bring him to trial. And it’s only Eichmann’s capture that can ever exorcise those inhibiting thoughts, a moment that is touchingly portrayed later in the film. 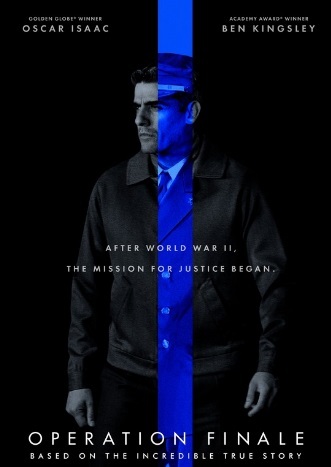 The strength of the film is discovering that most of what you’ll see is how things developed, including Eichmann’s sedation and being disguised as an El Al flight attendant in order to smuggle him past the Argentine authorities sympathetic to the Nazi cause and onto an awaiting plane. Even the nail-biting moment on the runway where a last-minute delay regarding the plane’s flight plan – a scene that seems tailor-made for a film’s invention to dramatically lengthen the tension – actually occurred. Yet the film’s portrayal of having the Israeli airline El Al insist that Eichmann sign an agreement to stand trial in Jerusalem before the company participates comes across as oddly manipulative; a writer and filmmaker’s way of re-shaping events existing only to allow Isaac’s Malkin to share extra screen time of character-revealing scenes between Malkin and Kinglsey’s Eichmann. You can’t help thinking, surely this kind of arrangement would have been worked out between the company and the Isreali government long before any operation had taken place. Perhaps it happened, but in terms of constructing a movie’s narrative, it just feels unlikely. While the film mostly engages, with a running time of 122 minutes, things eventually feel overly long, perhaps by fifteen minutes. A trim would have helped with the occasional sagging pace that often seems in danger of slowing the film down. 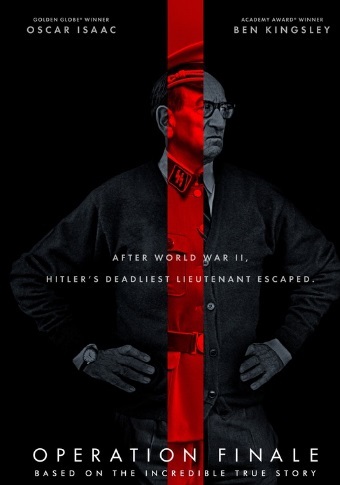 Plus, the conclusive scenes after the main events seem unnecessary, especially considering the film wraps with shots of the real Peter Malkin with an explanation of his life, post-trial, and of Eichmann himself sitting in that famous, bullet-proof glass booth in the Jerusalem courtroom. 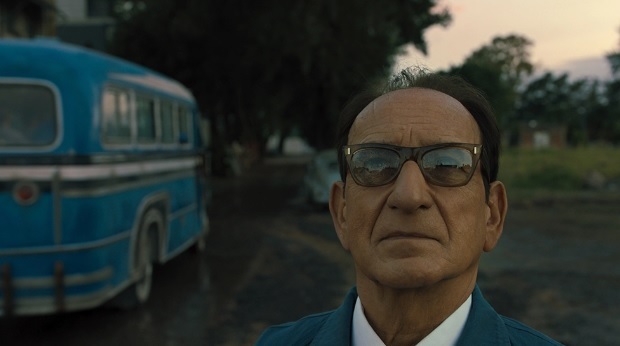 Yet, even if you already know the outcome due to history books or previous big and small screen coverage of the same story, Operation Finale works best when it induces anxiety, which it does for the majority of its telling, due not only to the fascination of actual events but also to the convincing performances of everyone involved.